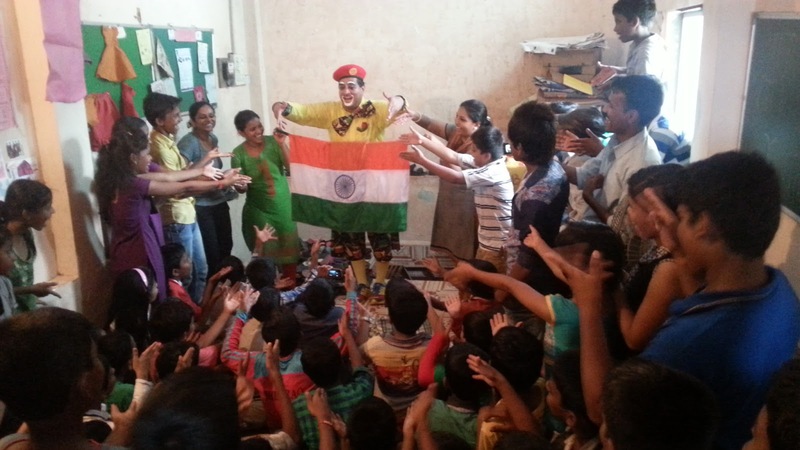 We Toybank team arrived at YUVA, Mankhurd by three in the afternoon on 4th of July 2015, to notice a room full of about 90-110 children of ages varying from 5-18 years who were eagerly waiting for us to arrive. We met the centre in charge Prakash sir who gave us a background about the children present there. Pravin (Magician) was about to visit the centre and perform as a magician for the kids. The kids were very excited to know that there would be a magician performing as for them it would be a first time event for them and being from a poor family it is difficult for them to afford these types of performances. We engaged the kids in games like Idli wada dosa, Fire on a mountain run run run and Passing the parcel to get familiarized with kids, the kids seemed to enjoy the games a lot but as soon as they heard that Pravin had arrived they ran to receive him, all of them seemed very enthusiastic and wanted the magic show to start right away. 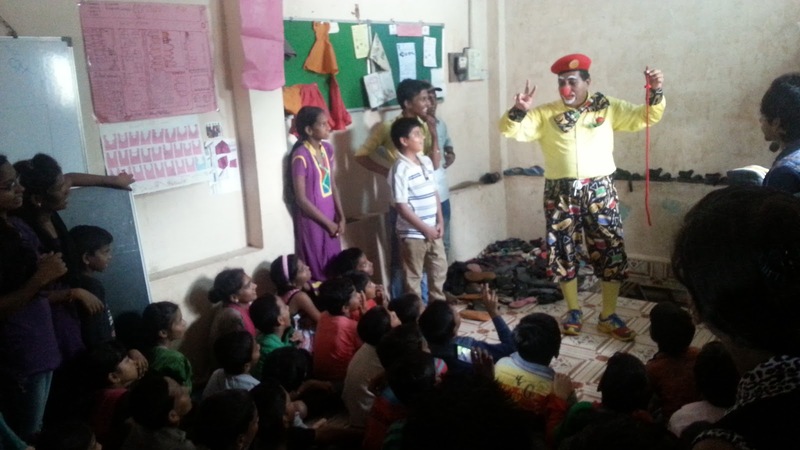 The magician (Pravin) was very well received by the kids and he seemed to have lit a spark of excitement in them which was immeasurable. The kids applauded loudly as the magic show began, the magician began with his mind boggling tricks as the kids gazed with wonder and shouted with joy with each trick, the happiness could be seen in their gleaming eyes. The cheers seemed to grow with each trick the magician performed be it the pulling out flowers from a rod or making a Chinese fan only with sticks. Towards the end of the show he performed a trick in which he acted as a person whose leg is stuck in a box and how he found it difficult to get his leg out of it. He emphasized on the fact that how difficult it was to get his foot out of the box and asked the students to call Prakash sir (The Centre In charge) to help him, then with the help of Prakash sir he was able to get his leg out of the box easily. 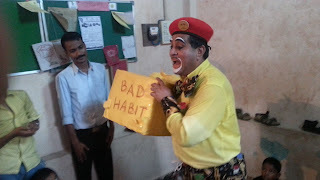 He then correlated this with the problems of smoking and drinking and explained how it is difficult to get rid of these habits, and ranged it to the fact that if a student faces a problem he or she should contact their sir for help and they together can get out of it easily. This was a very dynamic way of explaining the kids about the ill that comes from smoking and drinking and children looked to have accepted this fact very well. After this we started with the toy distribution in which we asked Pravin and Prakash sir to give the toys to the children and Toybank team also distributed some toys. One of the most emotive moments came at the time when we were leaving the centre as the children urged us to visit them more frequently as they had a very joyful time.